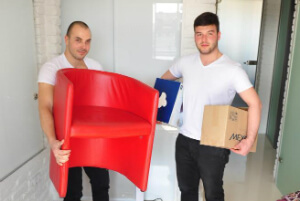 Barnet EN Commercial, Domestic Packing & Removals | Quality Property Care Ltd.
Every time when you need an expert reliable moving service in London, give Quality Property Care Ltd. a call at 020 3746 4287. No additional charges, done very carefully by a staff of qualified and licensed professionals. Large home furniture items are usually dismantled just before the move and re-assembled at the new address. In most cases we have several boxes ready to use if needed for some extra packing. office removal services offered by Quality Property Care Ltd. company can include relocation of IT, which includes all printers, servers, computers and some other business office equipment. The removals service also includes dismantling (when it is necessary) of the office furniture, files, desks, safes, shelves and other items. The removals crew can do the dismantling, packing & loading, moving, unloading, unpacking & re-assembly of the furniture as well as the relocation of all computers and the office equipment after work hours or on bank holidays & weekends, so that the work at the office is not disrupted at all be the relocation. This will allow business owners to relocate their business office without the process affecting their actual business flow. Quality Property Care Ltd. qualified removals in Barnet EN come as a rescue in a rush situation. We are ready for same-day or emergency bookings. We work Twelve months each year - with no exclusion for holidays or weekends. Dear customers, we can help you either with partial of your removal chores and with the whole removal process! Our removal company in Barnet EN has a specially tailored checklist to follow in order to arrange the process in a precise and optimal way. If you have your special demands and inquiries, do not hesitate to inform our guaranteed, experienced and well-tailored men with van in time. As a fully licensed removals company we can ensure safe, hassle free removals every time you give us a phone call. Call 020 3746 4287 and book at any time you need us. We have a customer care desk available to all clients free of charge, simply call and ask any removals related questions and get a exact solution.